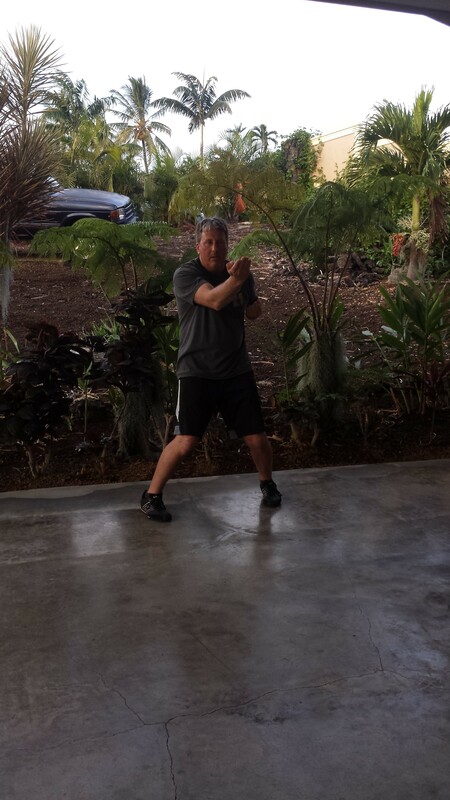 Sifu Mike Pollard watching over Wylie Chen’s form at Pacific Wing Chun Kung Fu Association practice. In both the first and second set, the most important concepts in Wing Chun are laid out in the first three techniques: the stance/structure through Yee Jee Kim Yeung Ma, and the centerline and the box that defines the upper, middle and lower gates (the Wing Chun box) through double gang sau and double tan sau. Discussion of all of these concepts is common and I’m not reinventing anything new, although there is an oblique relationship between these ideas that isn’t commonly discussed. Here I want explore the relationship between “don’t chase the hands”, “take what comes” and the Wing Chun box, which is maybe not so obvious. 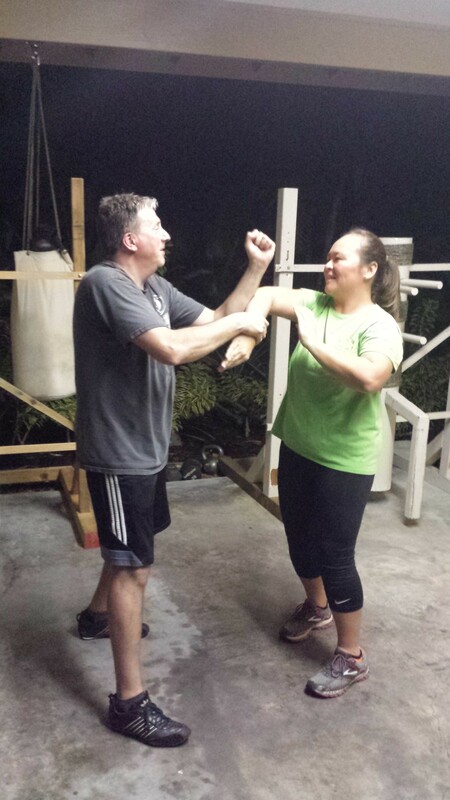 “Don’t chase the hands”, “take what comes”, and the Wing Chun box are inter-related, and are basically different ways of saying the same thing. Essentially, no technique that you use should ever go beyond or outside of the box. By doing so, your hands are not in a good position to provide an efficient and effective follow-up technique. By performing your techniques inside of the box, you are effectively “taking what comes”, or, putting it a different way, if your opponent’s technique doesn’t connect with yours, it doesn’t matter – you didn’t waste any energy chasing the hands. 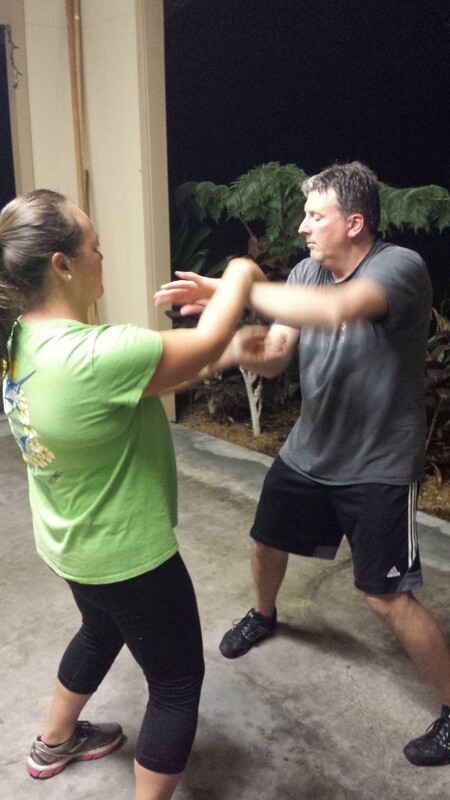 If the punch or kick misses, you didn’t expend more energy than you had to, which is consistent with Wing Chun efficiency. On top of that, you are not over-committed and can react much faster and get to the next technique. Here’s one more way of looking at his idea: the motion of your technique isn’t what stops your opponent’s technique, it’s the structure behind the technique. That said, when you apply a technique to a situation, perform it like you would in the forms or in san sik and let it work with your structure. Don’t chase the hands. Take what comes. Keep the hands in the box. Dit Da Jow available for purchase from Pacific Wing Chun Kung Fu Association. 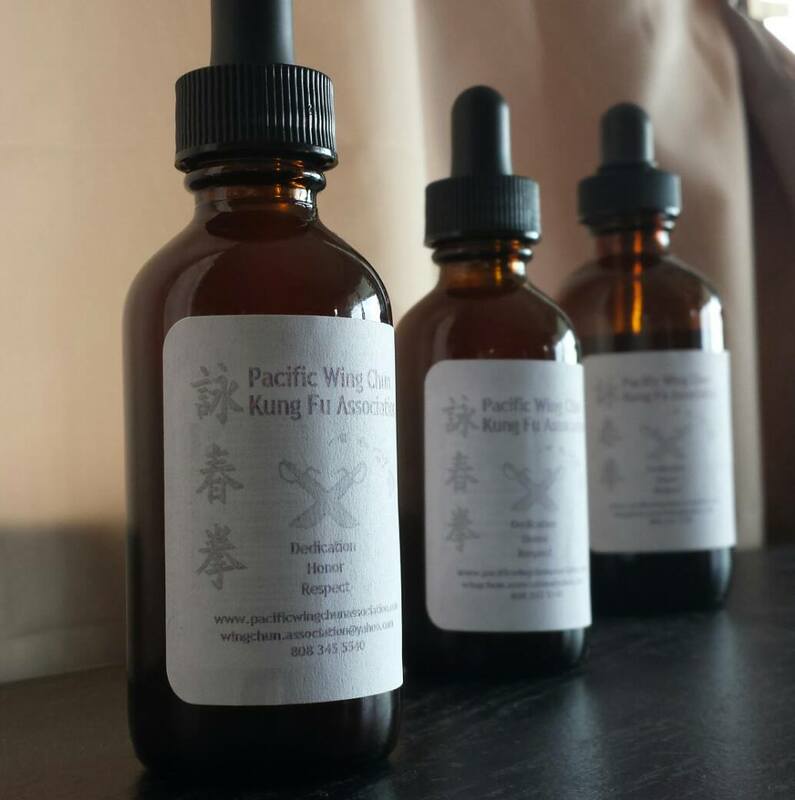 New Batch of Bak Fu Pai Dit Da Jow with Hawaiian Olena, and Essential Oils is ready. A new Batch of Bak Fu Pai Dit Da Jow with Hawaiian Olena, and Essential Oils is ready. I have 2 oz and 4 oz bottles available. Message me for pricing including shipping. Many thanks to the folks at ‪#‎PlumDragon‬ for their fine products. Pacific Wing Chun Kung Fu Association wishes Congratulations to Quinn Miller. Big Congratulations to Quinn Miller for on his promotion to Blue Shirt Advanced Wing Chun Practitioner. His skill level and knowledge of the system has earned him his new color. Quinn will be sharing his knowledge this next year helping train newer students and grooming his teaching skill, I know he will be among best of them out there when he reaches Black shirt level. 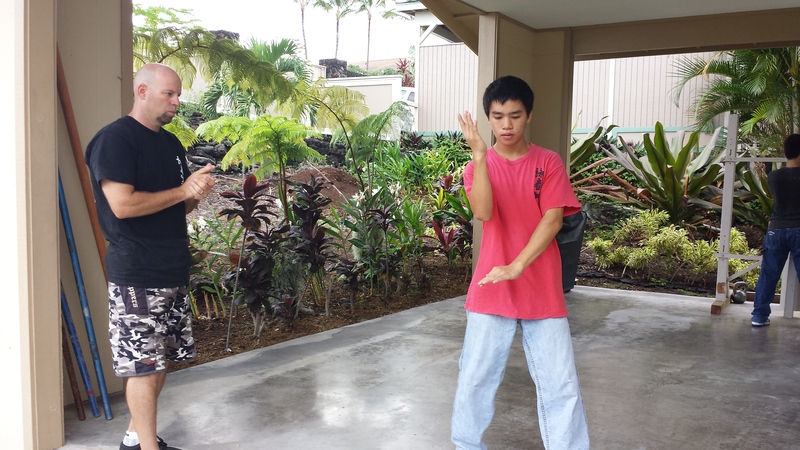 Sifu Sean Cavanaugh visits from Hawaii Wing Chun Kung Fu Association, WA. Many things were learned and shared as we again are honored by a visit from Sifu Sean Cavanaugh from the Hawaii Wing Chun Kung Fu Association. WA. Many thanks for the handcrafted Jook Wan Huen, Sifu Sean Cavanaugh! We will definitely be putting use on these tools you’ve made for us! With Sifu Sean’s knowledge of the systems history and technique it was wing Chun overload for everyone whom attended. Pacific Wing Chun Kung Fu Association is holding a seminar this weekend and holding another session Sunday with Sifu Sean. 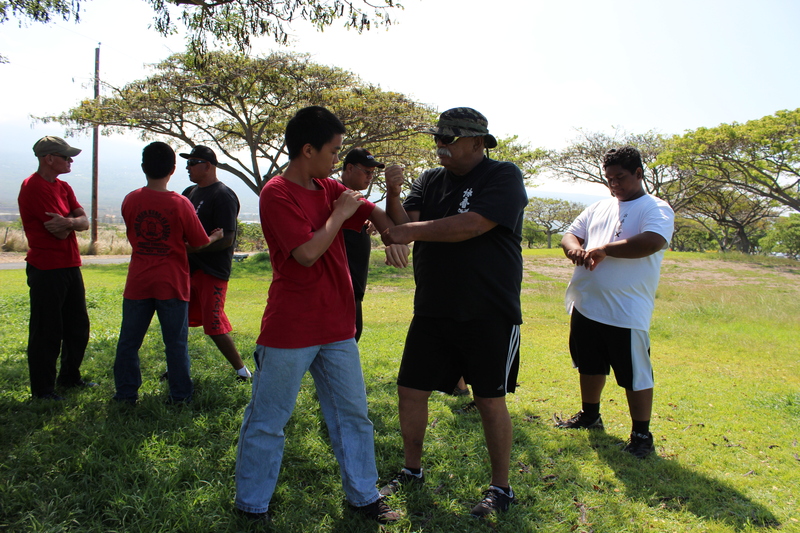 Again Mahalo Nui and Much Respect Sifu Sean! Sin Nen Fai Lok Happy Year of the Green Wood Goat. 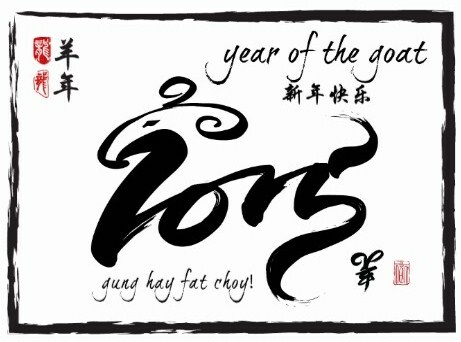 wellness and prosperity year after year! 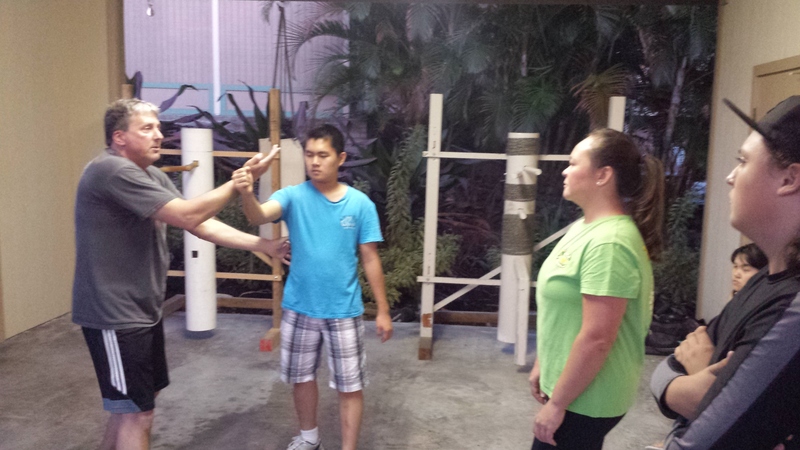 Pacific Wing Chun Kung Fu Association offers discount for Military Personnel and their family, also ability to pay program for school age children. Sifu Alan Vasquez Army CPT Ret. 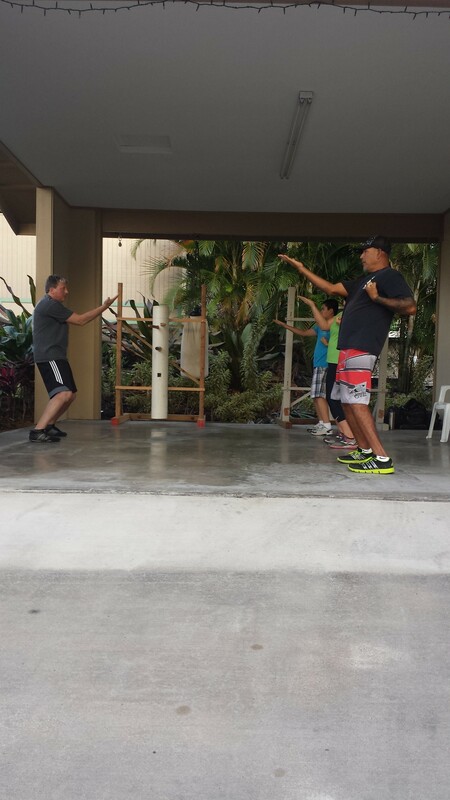 teaching at Pacific Wing Chun Kung Fu Association in Kailua Kona, Hawaii. 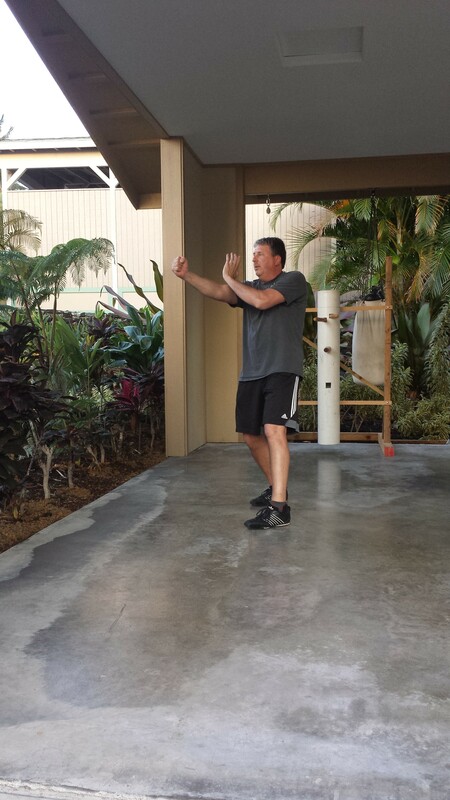 Late Master Lucky Shaffer AF Ret teaching at Pacific Wing Chun Kung Fu Association in Kailua Kona, Hawaii. Pacific Wing Chun Kung Fu Association also offers an ability to pay program for families with school age children. We truly believe that every child should have equal access to recreational and character social building programs especially if the child would otherwise not be enrolled or allowed to enroll due to their families finances. We also truly believe that Kung Fu has the ability to teach children social and life skills that they will not find or taught anywhere else. Please feel free to contact us for all the details of these programs today!